South Korea's legendary tech company LG has launched its latest flagship range's two new smartphones LG G7 ThinQ and LG G7 Plus ThinQ a few days ago. 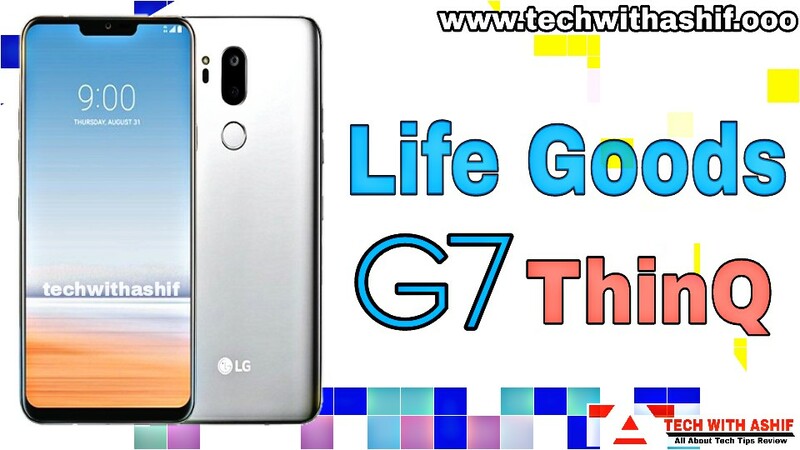 Being a flagship range smartphone, we feel LG G7 Plus ThinQ will be a great smartphone. 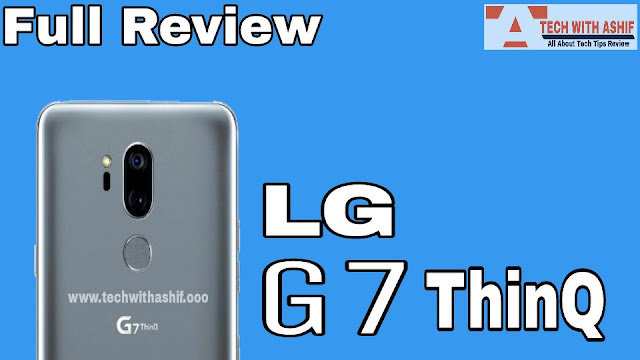 But is it really the same as we are thinking, we used G7 Plus ThinQ to review it and review it. Here we are telling you what is this flagship smartphone of LG and what are the features in it? Is the money you are spending for it, is it justified? LG G7 Plus ThinQ 2018 is one of the smartphones that are quite comfortable to use. In terms of screen size and battery capacity, it is much lighter than smartphones with similar features. However, if you are fond of metal body, you will feel disappointed, because in the G7+ think only the aluminum metal is given on the edge and there is complete glass on the front. Even the back panel of the smartphone has also been protected from Corning Gorilla Glass 5, which also keeps scratches on it. It is less broad compared to other flagship phones of this range, due to which it is easy to use. With water and dust proof, the G7+ think-all features are available which are needed in 2018. The power button is given on the right side of G7+ think while the volume button is given on the left.The SIM card / Micro SD slot is given upwards, at the same time, type-C charging port is given below.The speaker on one side of the charging port below and the 3.5mm headphone jack on the other side has been given. In it there is a separate button on the left for Google lens. At the same time, a fingerprint sensor is placed below the rear camera on the rear side. If you talk about the display, the LG G7+ think-up has a 6.1-inch QHD + fulvision display with an aspect ratios of 19.5: 9 and a resolution of 3120x1440 pixels. Notch is also present in the G7+ Think. In it you can change the layout of home, app drawer style and app grid. Apart from changing different types of themes, fonts, there is also an option to customize the second screen.In it you can also change the color of the second screen, which will be deleted if it is activated. Its display includes features like Blue Light Filters, Mini View and Screensaver. The Nifty feature has also been provided in the G7+ Think, which also helps in Direct Sunlight, which works like a super bright display. If you talk about the market then LG G7+ Think has given the best OLED panel, due to which the streaming of the movie and video should be much better. If the other aspect of LG G7+ Think is the strongest after the display, then its camera which certainly works very well. In G7+ think, two cameras with 16+16 megapixel sensor have been provided, one of which comes with f / 1.6 aperture and 71 degree FoV and second f / 1.9 aperture and 107 degrees FoV. LG offers you wide angle lenses in this flagship. Due to the wide and regular lens, it clicks the entire 16 megapixel photos. The most special thing about the G7+ think camera is that it takes only microseconds to shift the focus between the two objects, so it's great to click the best shots. It has many features like HDR, Live Photos, Auto Shutter Options and Grid Lay-Out, making it even easier to click photos. It has 9 modes available like auto, manual, cine video, food, slo-mo, panorama, flash jump-cut and AR stickers. On the other hand, if talk about the front camera, then the G7+ think is also very good in this case. It has an 8 megapixel selfie camera with f / 1.9 aperture. Using AR Stickers and Flash Jump Cut Mode, you can make good selfie clicks. In this, photos can be clicked from the aspect ratio of 1: 1, 4: 3, 16: 9 and 18.9: 9. If you are selfie lover then it also includes filters and portrait mode. If you talk about the video, you can record videos of 16: 9 HD and 16: 9 UHD resolution, along with the aspect ratio of 60fps and 18.9: 9. However, there is no option to shoot 4K video of 60fps. XIAOMI POCO F1 VS NOKIA 6.1 PLUS VS ONEPLUS 6 FULL COMPARISON IN ENGLISH. SAMSUNG GALAXY A7 REVIEW IN ENG.– 24MP+24MP & 3 BACK CAMERA. In terms of performance, you can expect better than LG G7+ Think because it offers Qualcomm Snapdragon 845 processor. Even after having so many customization options, even if you jump from one app to another, this phone does not even lag at all. While using this smartphone, we also used some video editing apps in addition to the new Asphalt, PUBG but we could not find any kind of lag. You can also credit it to Qualcomm Adreno 630, which has a touch of 6 GB RAM. Streaming LG G7+ Think 4K video, on multiple chat apps, is quite smoother during working and multitasking. Talking about the user interface, G7+ Think LG runs on UX 6.0 which is based on Android 8.0 Oreo. This user interface makes it very flexible to customize the features and looks of the smartphone.The LG B7+ Thinking Boombox speaker makes the smartphone look like a mini-speaker, which keeps its audio loud and crystal clear. In order to activate Google Assistant and Google lenses in the G7+ Think, a separate button has been given to make it easier to access it. In case of battery capacity, LG G7 + Think 3000 MH battery of battery disappoints you because if the flagship speaks of batteries in smartphones then the battery of other smartphones is far better. When using the G7+ Think Phone, we realized that you have to charge it once in 12 hours. Many times it happened that we had to charge it in just 5-6 hours. During the daily use, we always kept the smartphone connected to 4G or Wi-Fi, constantly checking e-mails, spending a lot of time on social media, streaming music and videos and even playing games for some time. The full-time screen was on auto brightness mode. It means that if you want to use this smartphone then you will have to carry the charger always because you do not know when it will need it. OLED Screen, Powerful Processor, Ampler RAM, Effective Camera and Good Battery Life are the essential features for an Android smartphone. Everything else is fine but in case of battery it disappoints. In addition to the Boombox speaker, Hi-Fi DAC audio output, Micro SD card, you also get a lot of customization features.As a glossy back panel, the probability of scratches increases significantly. However, if you want a compact package by spending Rs 39,990, LG G7+ think is not a bad option. In terms of price and features, LG has retained its "Underdog" image, but G7+ Thinks has presented herself as an alternative to other smartphones such as the Samsung Galaxy S9 and OnePlus 6.What is your opinion, commenting in the comment box?